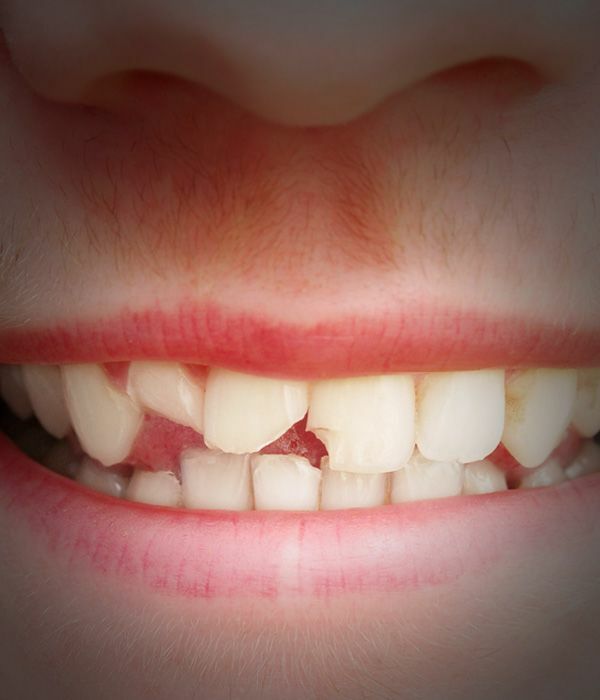 The negative impact of chipped teeth can be far reaching. It can affect a person’s self-esteem every time he or she looks in the mirror and sees an aesthetically flawed smile. Any time a tooth is structurally compromised, it also becomes at high risk of further damage in the future. For these and many other reasons, patients with chipped teeth are well advised to seek out restorative dentistry treatments sooner rather than later. At the cosmetic and restorative dentistry practice of Steven Hochfelder, DMD, PA, we offer a range of treatments designed to return optimal form, function, and health to chipped teeth. Dr. Hochfelder discusses these treatment options for chipped teeth at length during consultations at his Lake Mary, FL dental office, helping patients to decide upon the option that is best suited to their unique needs and goals. Whatever treatment option they choose, patients emerge from treatment with their mouths restored to full health and their smiles whole once again. There is no reason to live with a chipped tooth or teeth any longer. Schedule an appointment with Dr. Hochfelder to discuss your treatment options for chipped teeth today. How Does Dr. Hochfelder Treat Chipped Teeth? Dr. Hochfelder offers several superb treatment options for chipped teeth, as well as emergency dental treatment for severe chips that occur as the result of accidents. The most suitable treatment for a chipped tooth will depend on a variety of factors, including the severity of the chip, how the chip occurred, the patient’s goals for treatment, and the patient’s budget. Dr. Hochfelder understands how important it is for the patient to be able to make an educated decision regarding his or her treatment so he takes the time to explain all available treatment options in detail, answering all questions and addressing any concerns along the way. Porcelain veneers: Porcelain veneers are an excellent way to conceal aesthetic flaws in teeth, including chips. Dr. Hochfelder uses only the finest quality of porcelain in his veneers to ensure their durability and longevity. He makes sure that they are crafted to exacting specifications so that they look entirely natural once they are bonded to the front surfaces of a patient’s teeth. Once in place, porcelain veneers are virtually indistinguishable from natural teeth. Dental crowns: Like veneers, dental crowns are difficult to distinguish from natural teeth, even on close inspection. Unlike veneers, however, dental crowns are used to conceal the entire visible surface area of a tooth and are therefore well-suited to treating teeth with more substantial chips. Tooth-colored fillings: This age-old treatment for smaller chips remains an effective solution. However, unlike the silver amalgam fillings of yesteryear, modern tooth-colored fillings are mercury free and extremely natural looking. Dental bonding: As a cost-effective alternative to porcelain veneers, dental bonding can be used to conceal chips in the front teeth through the application of a composite resin material. To learn more about treatment options for chipped teeth, please contact the dental practice of Dr. Steven Hochfelder today.